The internationally renowned theorist contends that the sun is setting on the American Empire. The United States in decline? Its admirers and detractors alike claim the opposite: that America is now in a position of unprecedented global supremacy. 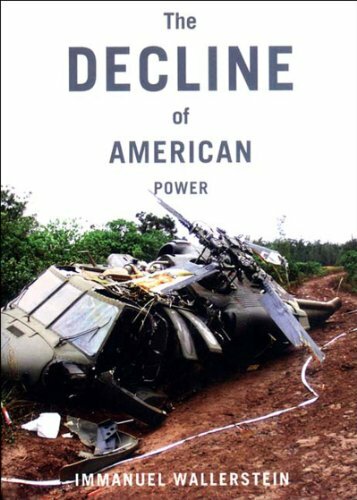 But in fact, Immanuel Wallerstein argues, a more nuanced evaluation of recent history reveals that America has been fading as a global power since the end of the Vietnam War, and, in the long term, its response to the terrorist attacks of September 11 may well hasten that decline. In this provocative volume Wallerstein—the “visionary” (Diplomatic History) originator of world-systems analysis and the most innovative social scientist of his generation—turns his practiced analytical eye to the turbulent beginnings of the 21st century. Wallerstein upends conventional wisdom to produce a clear-eyed—and troubling—assessment of the crumbling international order and America’s precarious footing at its pinnacle. It is compelling, a new explanation, a new classification, indeed a revolutionary one, of received knowledge and current thought.